What to do when you have no great visual material to make an eye-catching cover? No problem, heh heh. A poor image of a teachers display was overlaid with samples of children’s text with a lovely burnt orange tint. Add some clean beautiful type, and a spot varnish on the title box and presto. 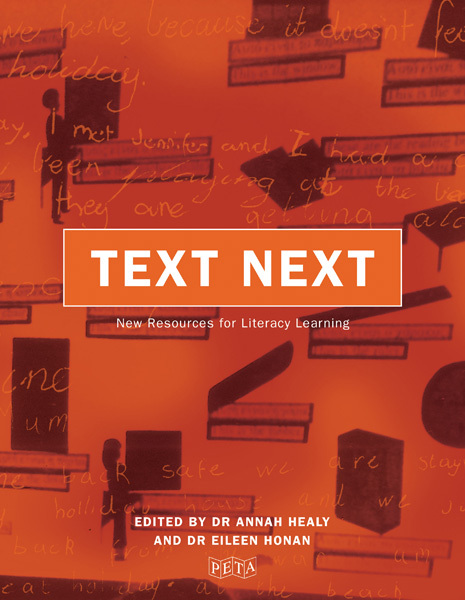 This book for teachers is all about literacy education. Hence the design needed to be warm, inviting and clear.